At this price why rent when you could own! Inner city living at it's best! Perfect for the young professional. With 2 spacious bedrooms on opposite sides of this unit, you could add a room mate without losing privacy. The master has a walk-through closet leading to an en-suite bathroom with jetted tub. There is a 2nd bath with shower. 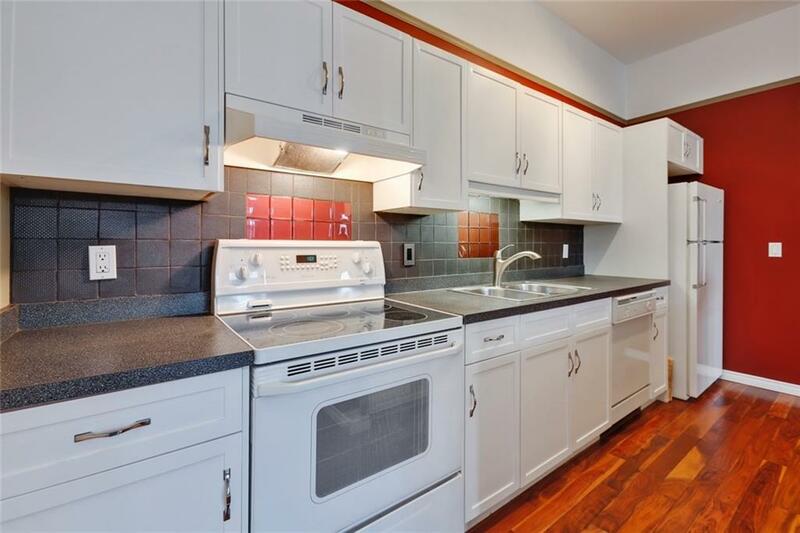 The updated kitchen w/ island & bar provides plenty of counter and cabinet space. Overlooking the living area with french doors onto the west-facing patio. 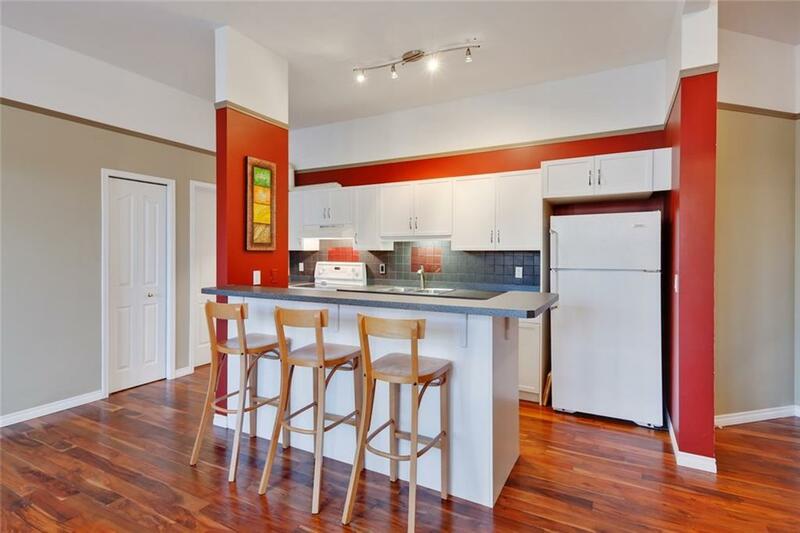 10' ceilings & gorgeous walnut floors throughout. In-suite laundry & loads of storage space plus an additional storage locker & heated underground parking! 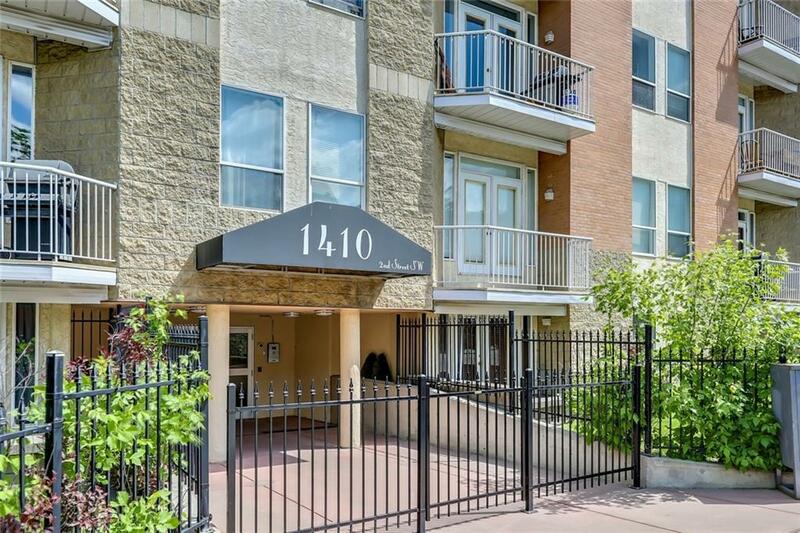 Well maintained building with low condo fees, a healthy reserve fund. 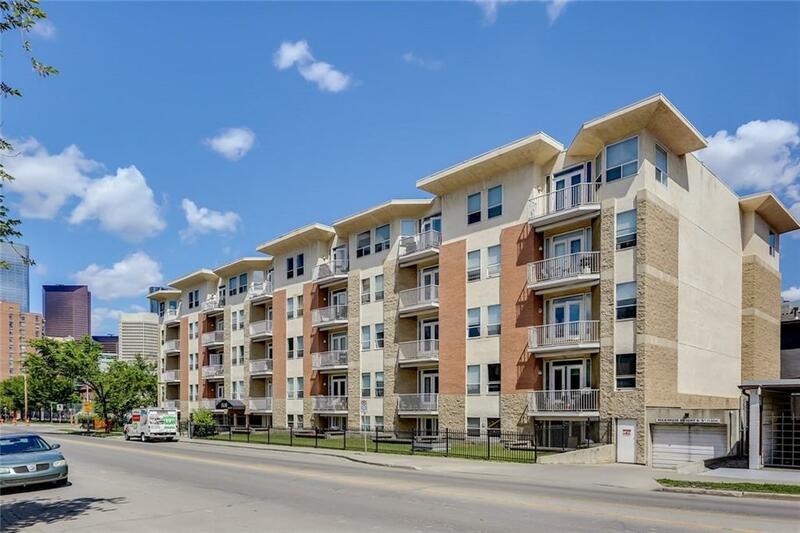 Ideally located within walking distance to the Stampede Grounds, trendy 17th Ave, transit & the Core. Library, tennis & playground/park across the street!